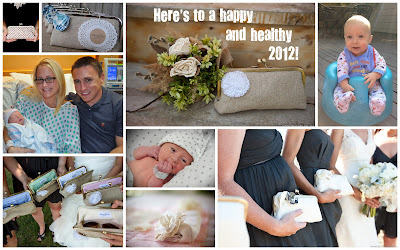 oatmeal lace design: 2012...get ready. I am so excited to start the new year and jump feet first into the goals I've set for myself, both personally and professionally...but I do have to say that I am a little sad to say goodbye to 2011. we talked about it today at our friends house, and over black eyed peas, turnip greens, black bean burgers & spicy wings (like my rhyme??) all agreed that we were blessed with a wonderful year on so many levels. I've said it before and I'll say it again (probably many times) - thanks to all of you for following along in this incredible journey. 2011 has been probably the most challenging and rewarding year of my life- taking a leap of faith in my career, the birth of beckett, a successful business and family health scares overcome- we are so lucky. one of my goals for the new year here on the blog is to post at least once a week. I'm inspired by my friend, emily ley, who has taken on the challenge of posting every day. of course I want to keep you all coming back to see what silly musings I have (hopefully entertaining) but I also know that one day I'll look back on this and be so grateful that I kept a running dialog of daily life, back in my early 30's. and yes- I'm saying 'early' even though I'm almost a few years in. ugh. throughout the next couple of weeks I'll post about a couple of other goals I want to achieve this year. hopefully you'll help keep me accountable for them. Colossians 4:5-6 Make the most of every opportunity. Let your conversation be always full of grace, seasoned with salt, so that you may know how to answer everyone.